Place puffcorn in large roasting pan. Melt the butter, brown sugar, and corn syrup together then add 1 tsp baking soda. Stir until it foams. 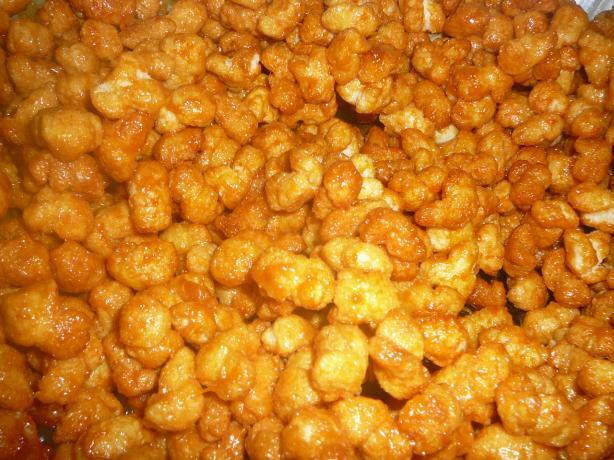 Pour carmel mixture over puffcorn. Bake at 250° for 45 minutes. Stir every 10-15 minutes. Remove from oven and cool on wax paper.